Wet Paint is sponsoring a very special workshop called Painting Best Practices on June 26,27,28, 2017. 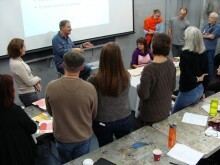 Ideal for painters, instructors of painting, conservators and restoration professionals, this workshop focuses on information & techniques not available in contemporary arts education. The workshop is presented by George O’Hanlon, technical director and founder of Natural Pigments – a California-based manufacturer & distributor of rare and hard to find materials for the fine artist. Natural Pigments spent years developing a technical workshop to teach skills that are not taught in art school and universities—a thorough understanding of artist’s materials and tools, what they are designed to do, when to choose them and how to provide considerable longevity to finished work. This workshop covers the most important aspects of painting that have proven to be the best practices over the centuries. The information-packed workshop includes all aspects of constructing a painting from the support and ground to the final layers. Practical procedures based on conservation research during the past century will be clearly explained and demonstrated. This workshop is designed for painters of all mediums, but special emphasis is given to oil painting. Though Natural Pigments is a manufacturer of artists’ color, the workshop is purely informational; no product is endorsed or sold. The first day starts from the ground – surfaces, supports, pigments…loads of background and historical practices and why they worked. The second day covers Chemistry, Physics, and Optics- demos pulls things together from the first day, plus studio safety and how to read labels. 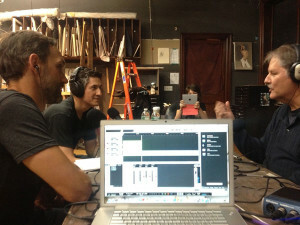 The third day gets into brushes and talks about modern pigments. Painting Best Practices will be held at The Art Academy, 651 Snelling Avenue South in Saint Paul. Special thanks to Jim, Sarah and the students & faculty of our favorite art school for their gracious hospitality!